For those who have grandparents in your life, you are lucky. There are some people in this world that have never met their grandparents and don’t know the family history. Always treasure the time you have with your grandparents because you don’t know when that is going to end. She was a nurse and always attended church. According to Courtney, she made you feel loved and always had your best interest at heart. She continues to inspire Courtney everyday to be loving, kind, tender, and empathetic. These are only a few words to describe a great person. In 2007, life would change drastically for the couple as Courtney’s grandmother was diagnosed with Huntington’s disease (HD). This is a fatal genetic disorder that causes the progressive breakdown of nerve cells in the brain. It deteriorates a person’s physical and mental abilities during their prime working years and has no cure. Once hearing about the diagnosis, the family did more research about the disease. They would soon find out that this would affect the entire family. 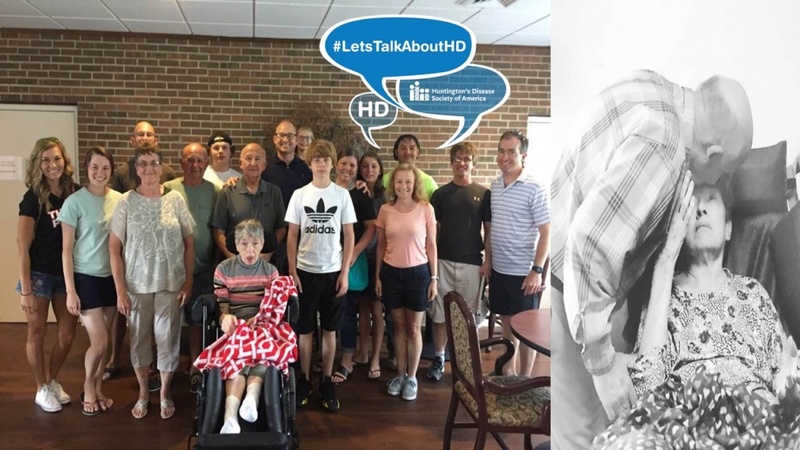 Each child of a parent with HD has a 50/50 chance of inheriting the faulty gene that causes Huntington’s disease. For at risk patients, 5-10% get gene tested. As the disease progressed, her grandmother started to show more symptoms of the disease. The symptoms of Huntington’s disease are described as having ALS, Parkinson’s and Alzheimer’s – simultaneously. According to Courtney, she remembers when her grandmother could not do simple things including walking on her own, brushing her teeth, or writing something down. As time went on, she needed to go to a nursing home. She would have to start eating everything in liquid form and was unable to walk. This was tough for Courtney to see. Currently, the family is active in the HD Community. They have participated in Team Hope Walks (THW). Since the inception in 2007, THW have occurred in over 100 different cities and have raised over $4 million for the cause. The family also makes yearly donations as well as shop for items on the Huntington’s Disease Society of America (HDSA) website.